Belt Technologies engineers traveled onsite to help a customer solve an issue that occurred after the system prematurely shortened their belt’s lifespan. Belt Technologies provides automation OEMs with a variety of belt tracking strategies to maintain accuracy & achieve maximum belt lifespan. Belt Technologies produces custom stainless steel timing belts for automation applications involving extreme operating temperatures. 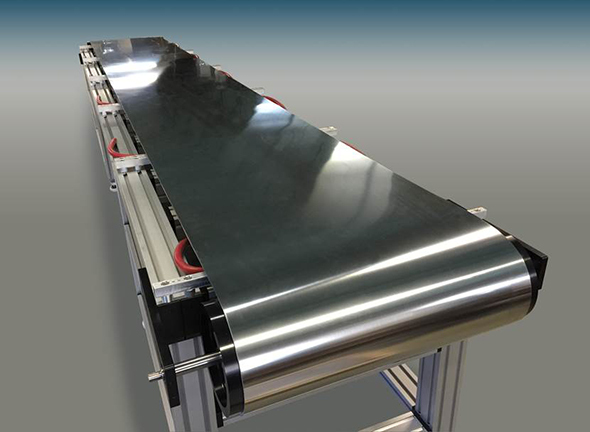 The unique properties of stainless steel can be leveraged to create stainless steel conveyor systems that will maximize product quality. 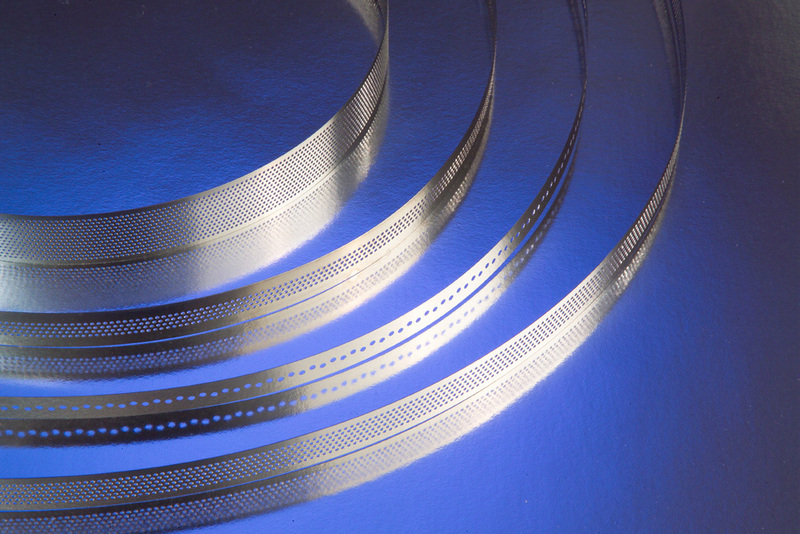 Belt Technologies performs in-house laser cutting and custom laser perforation of stainless steel conveyor belts, drive tapes, and timing belts. Belt Technologies remains at the forefront of automation technology, offering metal belt solutions to international robotics and automation customers.